Here in the Philippines, if you do not have the money to address your health concerns you could very well just die with your eyes open, waiting for death to come knocking at your door. No assistance can be expected from government and the Philhealth share on the contribution is, in my opinion, laughable. Nonetheless, the Philippine society itself provides for its own safeguards – that is, FAMILY! It is said that you often know how much loved and unloved you are if you have many relatives that will come to your assistance in time of need. In the case of being a parent, you know whether you have raised your children well, if they are, on their own, willing to foot the bill for your illness. If you are neither, I guess you are just out of luck, because the government would care little or not at all if you died. On the other hand, Article 294 of the Philippine Civil Code requires support to be given in the following order: (1) from the spouse; (2) from the descendants of the nearest degree; (3) from the ascendants, also of the nearest degree; and (4) from the brothers and sisters. Notwithstanding, hardly anyone files a case for support (except for child support) owing to the expensiveness of having an on-going court case. 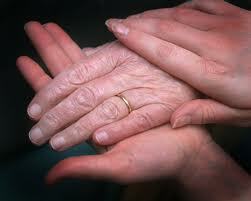 Thus, a great majority of the indigent can go unsupported for years until they would die from neglect. Which makes me wonder if a case for elder abuse and neglect can ever prosper here. In the end of it all, its going to be all about family. Which brings me to my husband (not that I consciously think of him as elderly, although he is a card-carrying Senior Citizen of the USA), he is certainly more fortunate. To those who have expressed concern and sympathy for his plight in the last few months, I am glad to tell everyone he is doing much better. We had already gone to three gastroenterologist ever since he had his stomach problem. We had a whole abdominal ultrasound just two weeks ago (can't have a colonoscopy first until the inflammation goes down) and the doctor said there doesn't appear to be an abcess. It appears that he has a gassy stomach that causes certain parts of it to spasm and bulge occasionally. At this point, he does not feel any discomfort anymore, but we are still closely monitoring it as his left side still bulges occasionally. Brought about by the expenses we have incurred over the past months due to various a sundry of minor ailments, I have taken it upon myself to find out what sort of healthcare he can receive from the U.S. government. Before he came here, I had already come upon the information that he is entitled to health benefits from the U.S. 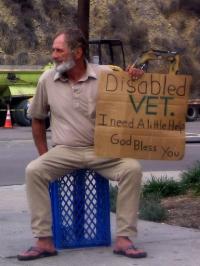 Veteran's Affair, since he is receiving a service-connected disability pension for a disability that is rated 20%. He sustained a back injury during his time in the U.S. Navy, which necessitated a major back operation. But really, his health ailment now is not service-connected. My initial communication with a call center agent of the U.S. Embassy led me to think he is not entitled to any non-service connected benefit at all with the VA Regional Office here in the Philippines. It took me awhile to question that statement, after conferring with Dave Starr I thought I would give it another try. So I set up an appointment with the VA Regional Office in Manila. Since we still lived a "traffic" away from Pasay City where the VA Office is located, and considering further that he had to be at the VA Office before 8 a.m., we booked a hotel near the area to save us the hassle of rushing to get to our appointment on time. I initially thought it was next to the U.S. Embassy, but the map that they sent us helped me see that it was certainly more than a few blocks away from the U.S. Embassy. It was in between the Department of Foreign Affairs and the Economic Processing Zone Authority. From the outside, I couldn't even tell that it was a U.S. facility in the Philippines. But the security measure inside certainly reminded me of the U.S. Embassy as we had to go through a metal detector and had to leave our camera and cellphones. There I learned that my husband is entitled to some kind of "primary care" benefit - meaning the V.A. health facility will look after his general health, ensuring that his general health is addressed by consultations with various specialist. Although the health benefit here in the Philippines does not cover hospitalization for non-service connected disability and it does not cover also special diagnostic treatments like CT scans and colonoscopy, the really cool thing for me was they fill-up prescriptions! If you can recall, we are spending a small fortune on medicines especially for accupril. So getting them to fill-up our prescription is a really big thing for me and will at least clear-up that budget allocation so that now it can be used to address diagnostic treatments not covered by V.A. and other minor surgeries like cataract surgery perhaps or dental implants. If we ever need a major surgery we can go to the U.S. for that where he is entitled to full medical benefits with V.A. facilities. Other than that, he got his pneumonia and tetanus vaccine, and will get his flu vaccine on January. Over-all the visit with V.A. lifted a weight off my shoulders. If there is any lesson I have learned from the experience is always to question what anyone says about something (in this case the V.A. entitlement). The truth was I already knew in my heart he was entitled to something even in the USVA RO in the Philippines, but I listened to someone else tell me he wasn't. I had done enough of the due diligence to do research on the internet on official websites nonetheless, that I should have known I was right and someone else was feeding me with wrong information. I have not written here for quite awhile. Sadly because I have just been too busy trying to wrap this year up and get ready for next year. But inspite my busyness and my inability to maintain this blog, readers of this blog may see me very soon in yet another blog. Bob Martin's Living In the Philippines. I would like to believe that that one is more an act of public service more than anything, and this one is a venue for my endless rantings and my incessant need to write. In this blog site I have full freedom over its literally and intellectual content and even in the extent of how I want to indulge in some occasional melodrama. However, if my mental acuity will permit it and if I can stay awake after a busy day of nothing but mental work, I may still write about something informational and of a legal nature. But rest assured that most of my articles here would be more of a personal nature.